Comprehensive equipment and training for all aspects of construction and engineering work, from steel erecting to rescue after a fall, to tower crane rescue and rope access for inspection. Construction and civil engineering work presents a diverse range of situations for work at height. It is possible that every technique or working method might be used on a single site e.g. restraint, work positioning, fall arrest etc. 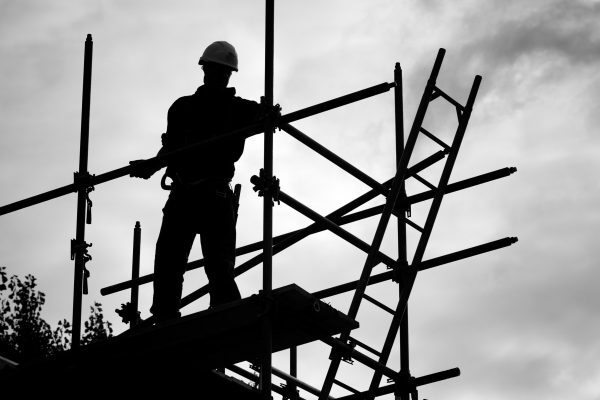 The construction sector is the origin of the most fatal accidents resulting from falls. Equipment used in construction is often treated very badly – proper inspection regimes are important, together with procedures for immediate rescue. Remember to apply the work at height hierarchy when choosing suitable working methods and ensure that equipment is properly cared for. If suitable anchors are not available adjacent to the place of work, it may be necessary to install permanent anchors. heightec’s ROTOR Tower Crane Rescue System is self contained for recovery of a fallen person or casualty from a tower crane cab, jib or ladder by lifting or lowering. The ROTOR constant rate descender is the ultimate high performance rescue descender for self evacuation of casualty recovery from tall structures.